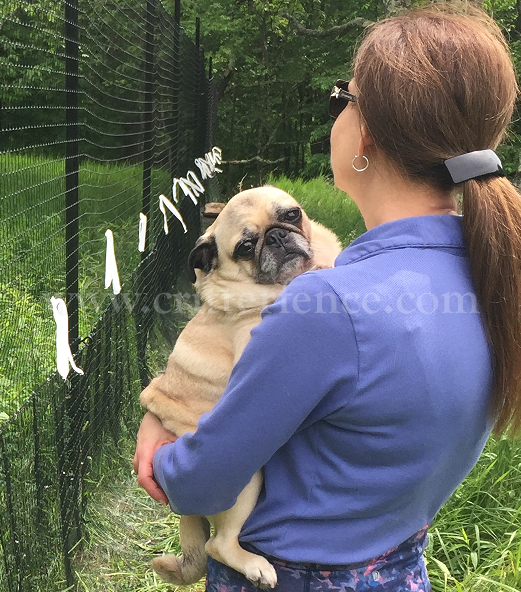 This customer needed a fence to keep animals out and her dog in. 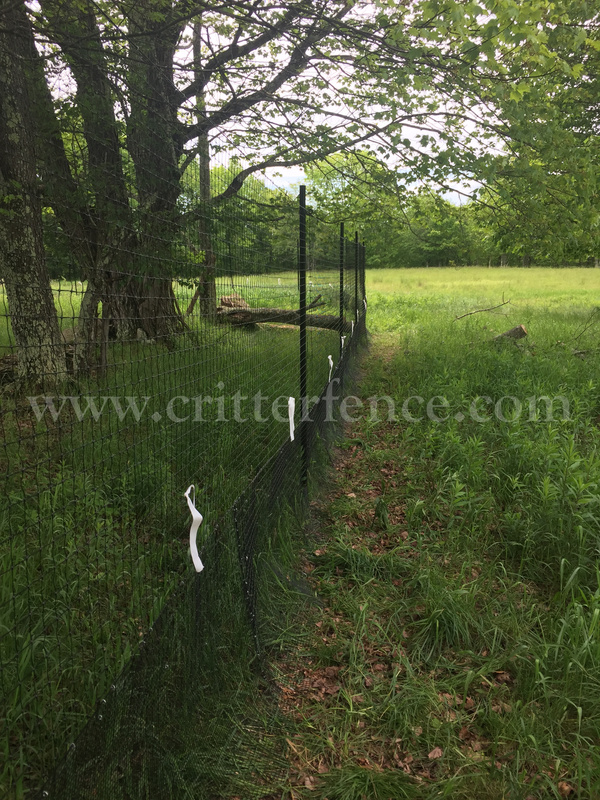 Pictured is a deer & wildlife exclusion fence consisting of Critterfence 800 poly fence mesh paired with a 1/2"x1/2" Critterfence Steel Grid base. 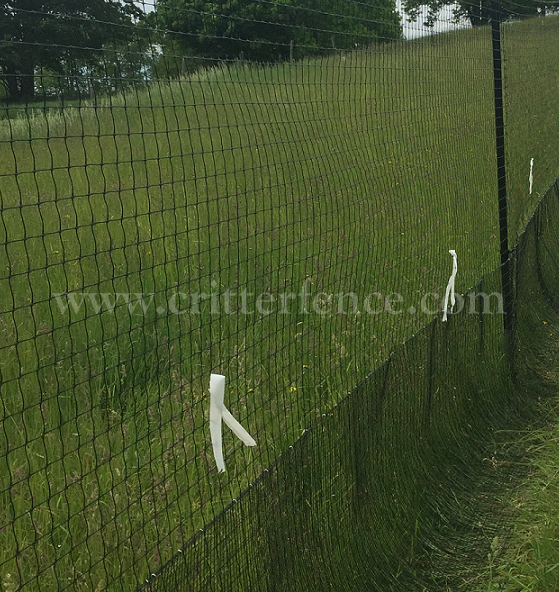 The fence material is suspended from our standard posts and 12ga black braided steel cable at the top and where the poly fencing meets the bottom wire. 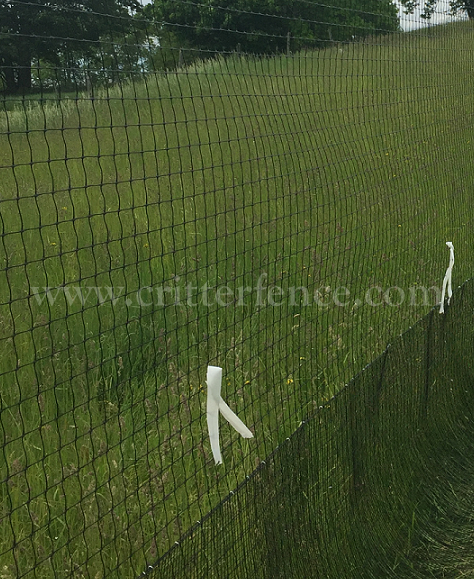 The 1/2" steel bottom wire will keep in or out most animals including large snakes. 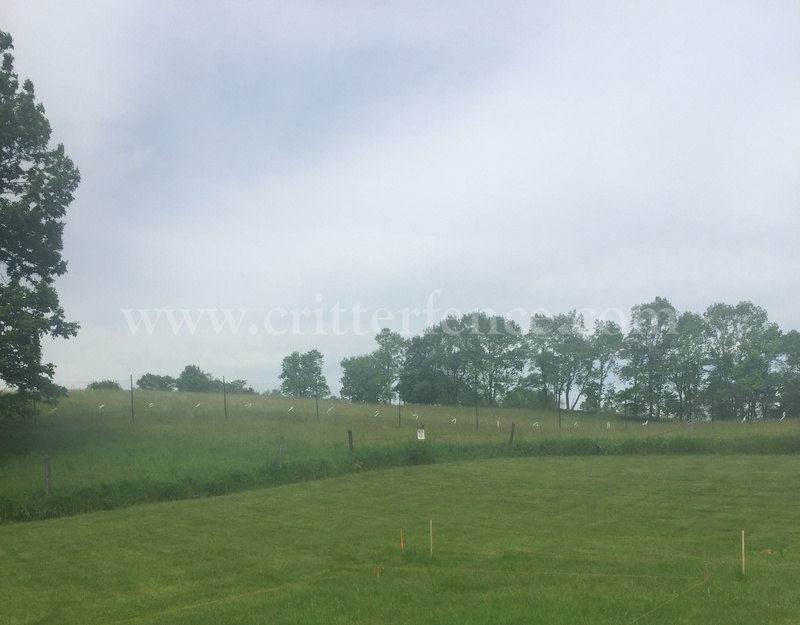 Typical installation includes overlapping a 6" minimum section bent to the shape of an "L" onto the ground and staking it to the ground. 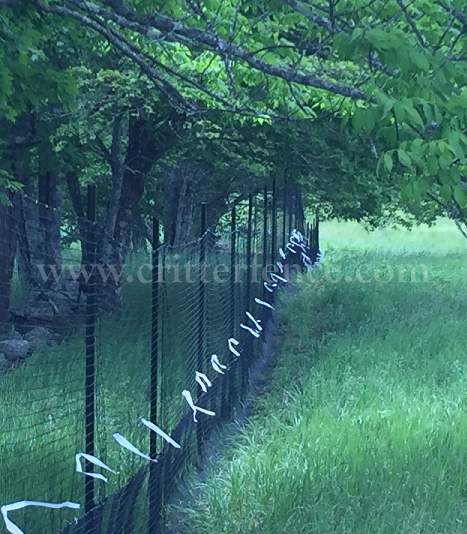 This configuration makes a great combination deer fence - snake fence. From a distance both material types are nearly invisible.